When I saw this on a couple of blogs I was very excited. I am the laziest person in the world for caring about the skin on my body. Face, sure I will look after it, but body, meh that can take care of itself. Since I've come back from holiday I have noticed my skin being drying and flakier, so when I saw there was a solution for this for all the lazy girls out there I ran to my nearest Boots and snatched it up. I don't really know why I expected this to be amazing. If you think about it, it's never going to be ridiculously moisturising for your skin if the concept is spray and go... But hey, I was taken in. Basically, you spray, rub it in and well, go. So what did I think? Well, while my skin was super dry this really made no difference whatsoever. However, I for those everyday skin troubles, and just to top up your moisture levels this is actually really nice. Very refreshing and just a really nice quick fix. 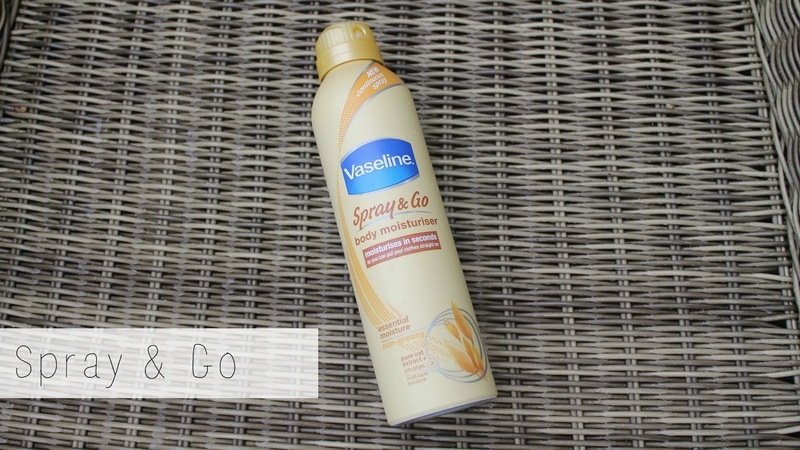 Have you tried these new Spray & Go moisturisers? I like the idea that you can just spray it on, its a fun concept. I have been wanting to try it & might pick up the Cocoa version.